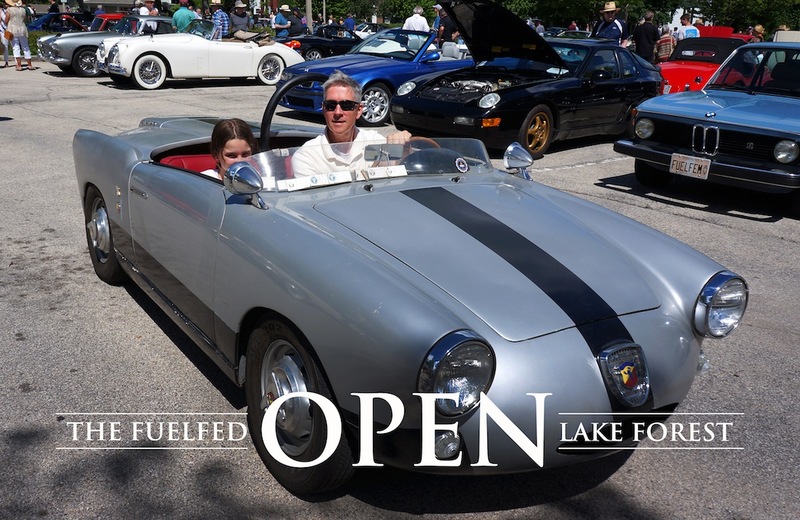 Despite the constant rain, Fuelfed members still made their way to Lake Forest for the OPEN. Lou brought his Miller Indy car and Michael, his McClaren powered Sting Ray. That in a nutshell is what makes the OPEN great…seriously rare member cars you won’t see anywhere else. But what makes Fuelfed events special has always been the camaraderie. Some members hung under the tent and chatted over provided coffee (thanks Joe J.) and most others walked around in the rain happy to endure some wet shoes in exchange for in the metal conservation. The OPEN is where our members can bring what ever interesting car they want to drive so it’s always an interesting mix.